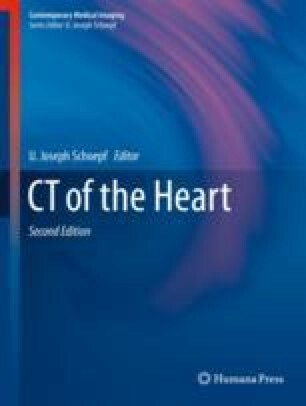 The following chapter is a brief overview of congenital heart disease, with a specific focus on the aspects that are relevant to cardiac computed tomography (CCT). A brief rationale for the use of CCT in congenital heart disease is given, followed by a review of sequential segmental analysis, the basis of the morphologic assessment of the heart. The anatomical findings for the most common forms of congenital heart disease are described, as well as the expected physiology and clinical course. The relevant CT findings for each heart defect are illustrated and correlated to the anatomy to aid the imaging specialist in comprehension. Bonelli-Sica JM, de la Mora-Cervantes R, Diaz-Zamudio M, Castillo-Castellon F, Ramirez-Carmona R, Velazquez-Moreno J, Kimura-Hayama E. Dual-source 256-MDCT for diagnosis of anomalous pulmonary venous drainage in pediatric population. AJR Am J Roentgenol. 2013;200(2):W163–9. https://doi.org/10.2214/ajr.11.8348.